The Surrey Muslim School first opened in 1997 at Masjid Rahmah in Surrey with eleven kindergarten students. As the school population grew, the school expanded and opened a new Main Branch beside the Surrey Jamia Masjid in 2005. 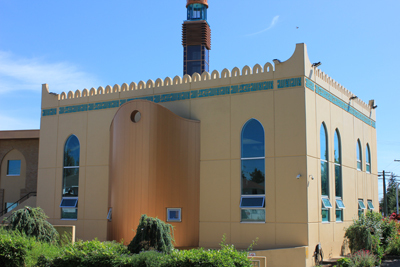 Currently, the school operates Kindergarten at Masjid Rahmah and Grades One to Six at the Surrey Muslim School main branch, adjoined to the Surrey Mosque. The Surrey Muslim School is an Independent School certified by the British Columbia Ministry of Education and serves students from Kindergarten to Grade 6. The purpose of our School is to provide a high level of Islamic and Academic education, foster superior Academic achievement, and to develop strong Islamic character. A combination of formal classroom instruction, regular homework, structured assignments, in conjunction with a solid Islamic Studies and language program, creates a unique environment that is conducive to the success of our students. The school’s central mission is to produce Muslim students who will excel academically, professionally, and spiritually. The Surrey Muslim School incorporates Arabic and French as second languages. Our school conducts daily salat in the Masjid. We regularly participate in a variety of Islamic and Qur’an competitions and other extra-curricular activities. Our school has an excellent record of academic achievement, which has been recognized in the media and implored by community and government officials. We have a challenging curriculum delivered by a well-educated and dedicated teaching staff. We provide a structured learning atmosphere combined with an excellent pupil to teacher ratio that facilitates more learning opportunities. The involvement of parents in the education of their children and our students is key to the success of students and the school. We encourage parents to be involved in the school and to actively volunteer and contribute donations. The Surrey Muslim School operates a school that honors and propagates the principles of Islam and works toward student acquisition of the knowledge bestowed in the Qur’an and Hadith (the teachings of the messenger of Allah ). The Surrey Muslim School provides the utmost quality in education with the goal of academic excellence. Our aim is to create a learning environment that challenges each student to discover and develop their academic skills to their full potential and become ambassadors of Islam in our community. Allah says in the Qur’an: “[2:269] He [Allah] grants wisdom to whom He pleases; and he to whom wisdom is granted indeed receives a benefit overflowing. But none will grasp the Message except men of understanding.” Our vision is to excel the knowledge and understanding of our students, community, and ourselves. Strive for excellence in all areas of education. Help students develop the knowledge, skills and the attitude that are necessary for leading positive and satisfying lives. Foster good conduct and etiquette based on Islamic principles. Strive for complete integration of Islam across the curriculum. Provide a solid Islamic Studies program that nurtures balanced and progressive minds. The Surrey Muslim School’s motto is: “perseverance, excellence, commitment, and knowledge.” Subsequent to the Islamic teachings the school promotes, we facilitate excellence in academics and a commitment to knowledge for our students and ourselves. Our students are instilled with a spirit of respect and self-discipline. 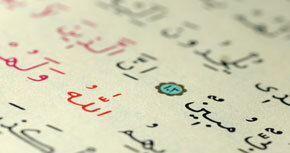 Pursue quality educational programs that integrate academic, Islamic, Arabic, and French education. Promote excellence in academics, develop strong leadership skills, and to facilitate the development of life skills and interests. 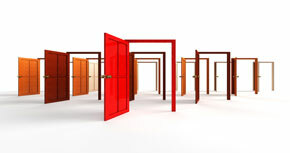 Prepare students to become good citizens and contributing members of society. Promote continuous Islamic, Arabic, and French education. Help students achieve academic excellence as well as develop life skills and interests. Our direction in the future will focus on continued improvement and academic excellence. It is important to remember that the process of learning is as important as the product of learning. How well we learn and our degree of perseverance and commitment affect the results of learning. We expect our staff and students to follow the Ministry’s curriculum and to meet and exceed the expected learning outcomes. We create opportunities for all students to express their individual excellence in their own unique ways and to receive a well-rounded education. The School is prepared for new challenges and ready to employ new techniques of teaching in today’s fast paced and technological world. We are committed to offering our students the tools necessary to meet the challenges of the future.